A Disney World honeymoon is perfect for couples who function as lovers by night and grown children by day. This is Florida’s biggest attraction and thousands of couples have chosen it for their honeymoon, but you’re more likely to enjoy the trip if you do some planning ahead of time. There are four theme parks and two waterparks that you can explore, but you’ll also want to plan some downtime so that you can simply relax and take a deep breath before returning to the grind of daily life. 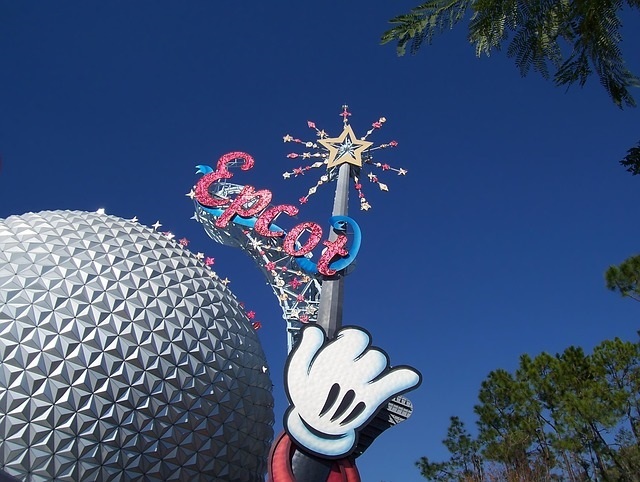 Don’t assume that you can’t afford to stay in the Disney World Resort. There are five resorts designed for those staying on a budget: All-Star Movies Resort, All-Star Music Resort, All-Star Sports Resort, Disney’s Art of Animation Resort, and Pop Century Resort. These aren’t the most luxurious hotels and you can still expect to pay around $100 per night, but they do deliver an authentic Disney experience day and night. If that’s still too much for your budget, look at some of the non-Disney motels and inns in the surrounding area. MagicBands will make your trip far easier to manage. These unique bands are only offered to guests staying at Disney-branded resorts and hotels, but they allow you to leave your credit cards and room key behind. Just scan the band to pay for meals and other items within the theme parks, and scan it again when you return to your room. It’s a hands-free, hassle-free honeymoon! Don’t hesitate to plan a winter Disneymoon. Fewer families choose November-February for their Disney vacation because most kids are in school, but the weather in Orlando doesn’t take a nosedive into freezing like many other areas of the country. You can visit in November or even January and enjoy temperatures in the high 70s or low 80s, and you’re likely to spend much less time waiting in line for attractions during these months. 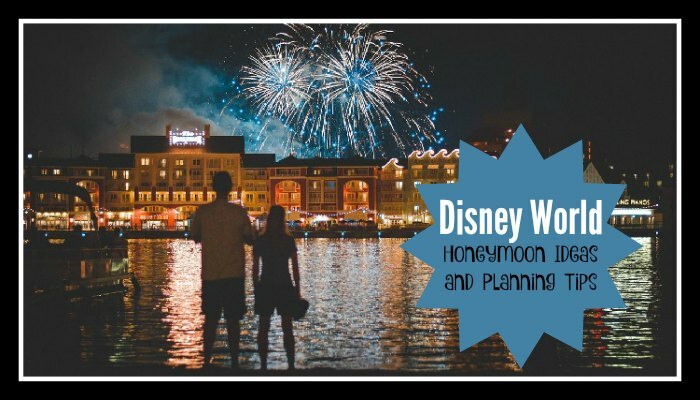 Tell the Disney hotel concierge that you’re honeymooners. You’re likely to experience little surprises as you enjoy your trip, including freebies at some of the theme parks and serenades as you walk through the hallway. You never know what the staff may dream up for you, but they have to know that you’re on your honeymoon. Bring your RV or pitch a tent at the Fort Wilderness Resort. This is one of the most beautiful accommodation options within the Disney Resort, and it may give you more privacy than you would experience in a hotel room. The camping grounds are beautifully landscaped, and this gives you the opportunity to spend some down time with Mother Nature to balance the activity of the parks. You can take a boat to the parks or ride a Disney-provided shuttle bus. Call well in advance to book romantic dinners at some of Disney’s upscale restaurants. Even if you’re traveling on a tight budget, make room for at least one spectacular dinner at a restaurant that speaks romance to the tenth degree. It will turn into the highlight of the trip, but you have to book months ahead. Plan something silly and unexpected for your new spouse. Spring for some authentic mouse ears and really wear them when you visit the parks. Hang out with the children at the park, doing and eating whatever you see them doing and eating. It’s okay to act like a child when you honeymoon with Disney. This lighthearted fun will add magic to your trip. Definitely plan to view the Magic Kingdom fireworks at least once. It’s a great opportunity to hold hands and enjoy the romantic ambiance for free. 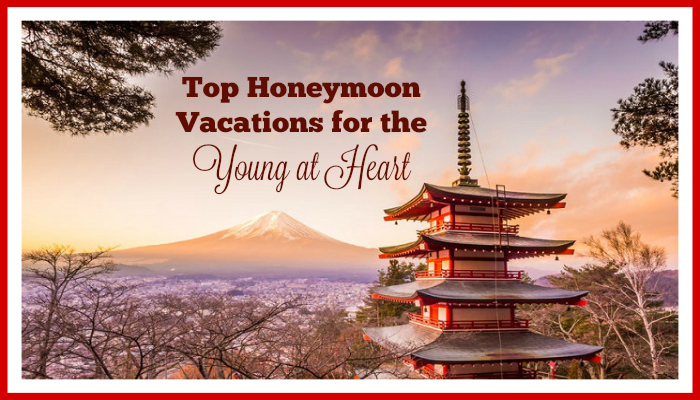 There’s so much to do and see at Disney World, but your honeymoon can only last for so long. Select your accommodations wisely, and then hand select activities that fit your personality and the relationship that you’re building with your new spouse. This is the one place where fairy tales can come true, so make every second of this honeymoon count.